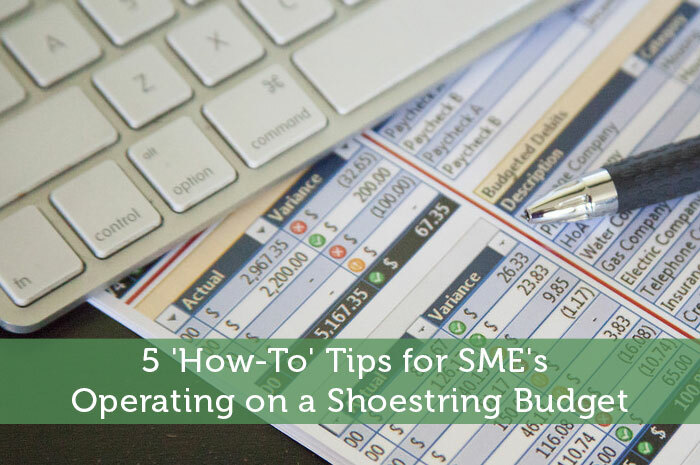 Are you starting your business on a shoestring budget? Or you may be asking, how can I grow my business when money is so tight? Most small to medium business owners face this dilemma at one time or another, so be cool. There is hope for you. Here are 5 high-impact tips to promote your business while running on a shoestring budget. It’s cliché right? I mean running a shoestring budget is synonymous with cutting unnecessary expenses; however, there is an art to cutting costs. It’s like pruning a tree, whether a sprouting beans stalk or a big fat mango tree. You can’t just hack away soft stems off a beanstalk the way you would the branches of a mango. So how do we start the cost cutting? Salaries are one major expense for small businesses. You certainly have to offer competitive salaries if you want to get good staff. What if you hire freelancers on temporary contracts, as and when you need them. This can do wonders. You can also recruit people with generalized skills, rather than specialists, as they will be able to handle several roles – cutting the staff numbers. Also, office rents are a huge expense for businesses – and one that a lot of smaller firms can avoid. Sit down and think, can your business run without an office, can your employees work from home? If the answer is affirmative, then you really should, because this will save you money and allow you greater flexibility with your operating hours – improving your customer service. As an SME you most likely don’t pay the best wages out there, so you have to keep your staff motivated somehow with measures beyond the pay packet. Any SME owner worth the title of ‘business person’ knows well that their most valuable asset is their staff. Big companies know this, and that’s why they come up with a number of schemes and initiatives planned to keep their staff happy and productive. Tesco, Asda and Sainsbury’s, for example, all offer 10% staff discount schemes, such as discounted gym membership, health costs and travel insurance. These companies mentioned above learnt how to keep staff motivated within their shoestring budget. They learnt the vital lesson that when there is no fund, other forms of motivation will work just as well. Consult with your staff, make them feel valued. Not only will this give them the motivation to work hard for the success of your SME it will mean that they feel a genuine part of that success.And always show your appreciation. If you want to invest but feel you don’t have the money, think again. The beauty of investing is that unlike buying a new Mercedes or even a Yatch, it doesn’t require a weighty down payment. Saving is easy; Anyone Can Do It. Little drops of water make a mighty ocean. Investing is great if you have plenty of extra money lying around, but what if you don’t? Saving and investing is a commitment, but it doesn’t have to be painful. You may need to seek a financial planner who is willing to help set up a portfolio for you at a reduced cost or perhaps even at no charge! Moreover raising money is no longer a herculean task as there are lots of alternatives to bank loans available today. You can make the investment automatic to be deducted after a few months so that you focus on making a certain ROI before then and you don’t get to change your mind. Start small and grow gradually. Investments on a budget are for the future, so make them as a matter of urgency… that’s how you become a bug company. Get savvy with your social networking skills. Facebook, LinkedIn, Twitter, Pinterest, Google+, and Instagram all boast huge marketing capabilities.Take advantage of them. Get very visual. You are much more likely to get viewership through your visual content than the written ones, but that is not to say that written content is not valuable too. Also consider creating videos for your site. Instructional videos are quite popular these days; YouTube, Instagram and Snap chat. Try Infographics too, they are incredibly powerful marketing tools. Believe it or not, for the viewers they are like visual eye candy. Appealing, easy to digest and people love sharing them– so have fun with it. In the end the reason you will bother putting all this into practice is because you need to get off the shoestring and grow. It’s the simple, little things that add up and make the whole. For instance, all these measures above if followed will grow your business. You can also find a company to partner with, an established company; invest in a franchise if you are not too concerned about originality. You should pay yourself as little as possible. If you can live without a salary, invest the money you’re making back into the company. Humphrey and McDonald each found a way to live on $350 a week when the company was new. Do Not Sacrifice the Quality of your work. Yes, you’re bootstrapped, but your customers shouldn’t suffer on that account. That you’re on a budget does not mean you should give your customers lesser than what you promised in your sales pitch.